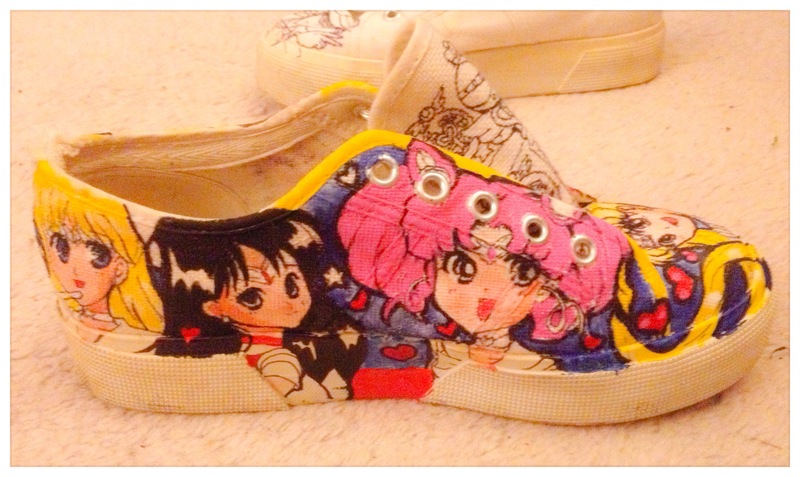 So I’ve been working on a pair of custom Sailor Moon shoes on and of for a couple of months, and thought I’d post my work-in-progress! 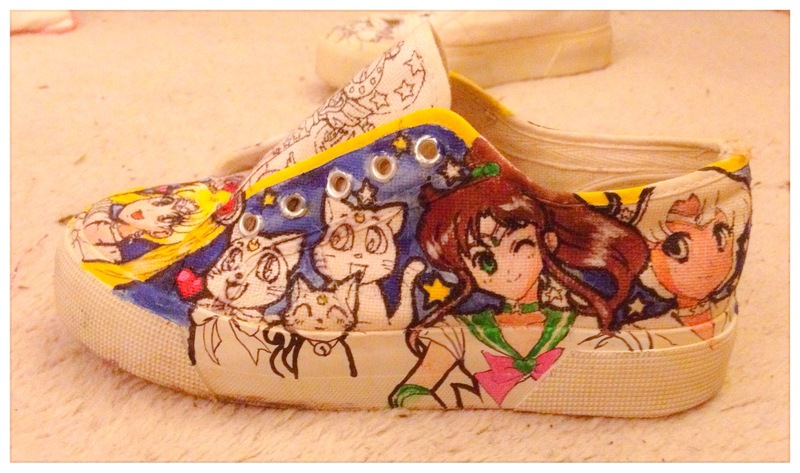 Still a long way off, and I’m not sure when I’m going to get the chance to finish them, but my feet will instantly power up once they’re done. Actually, I forgot. 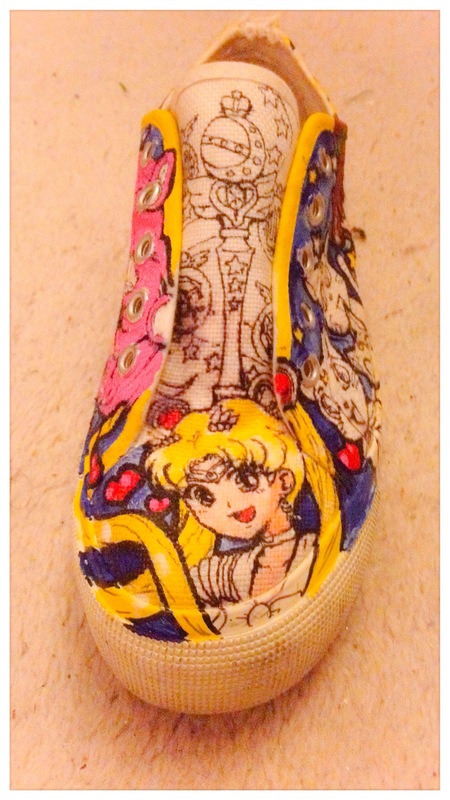 These shoes are a size 4. DAMN MY SIZE 5 HUMAN PAWS! 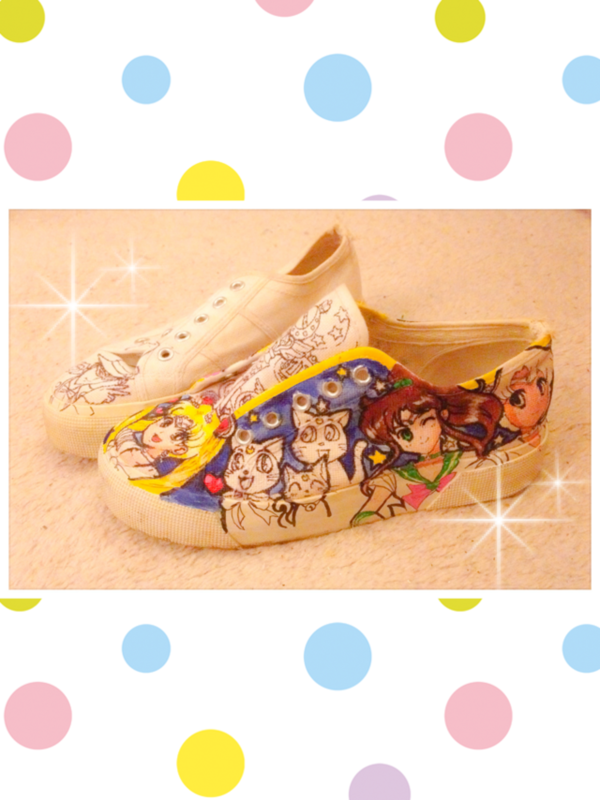 The first shoe as you can see is of Sailor Moon and the Inner Senshi, with Luna and her cutesplosion kitty family. 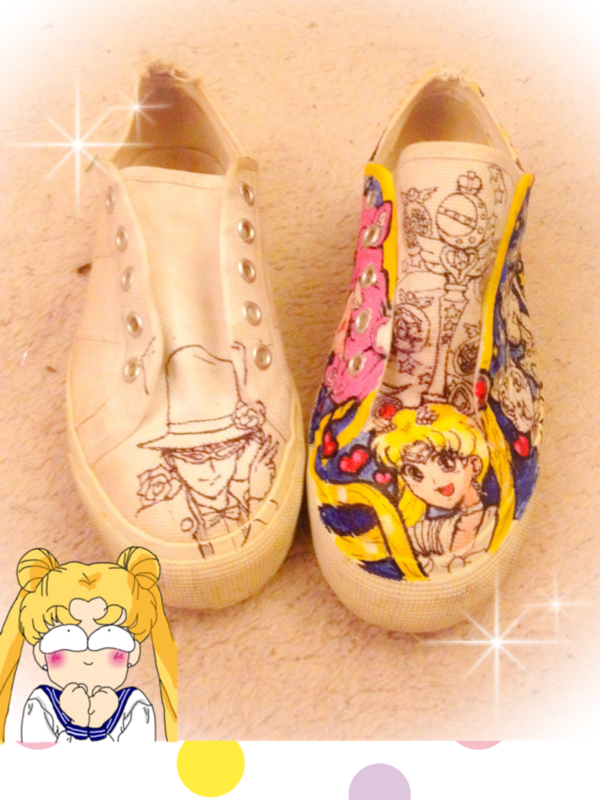 Plan is for the other shoe to have Tuxedo Kamen, the Outer Senshi and the talismans (if I can get them to fit). 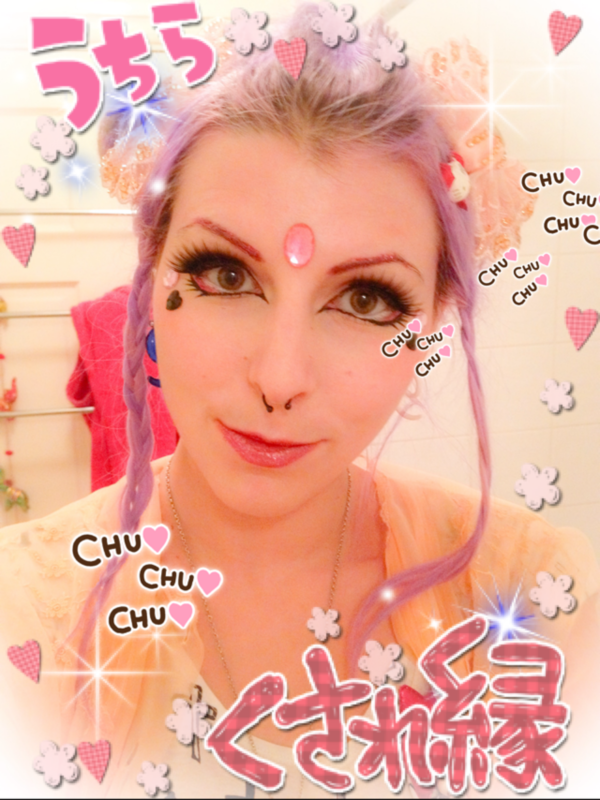 Also, if this post look spazzy, I’ll fix it when I’m on a proper computer with a screen and keyboard and dancing hula girl USB toy. I’m trying out the WordPress app on my iPhone. COME ON MOBILE TECHNOLOGY!! Let me know what you guys think! 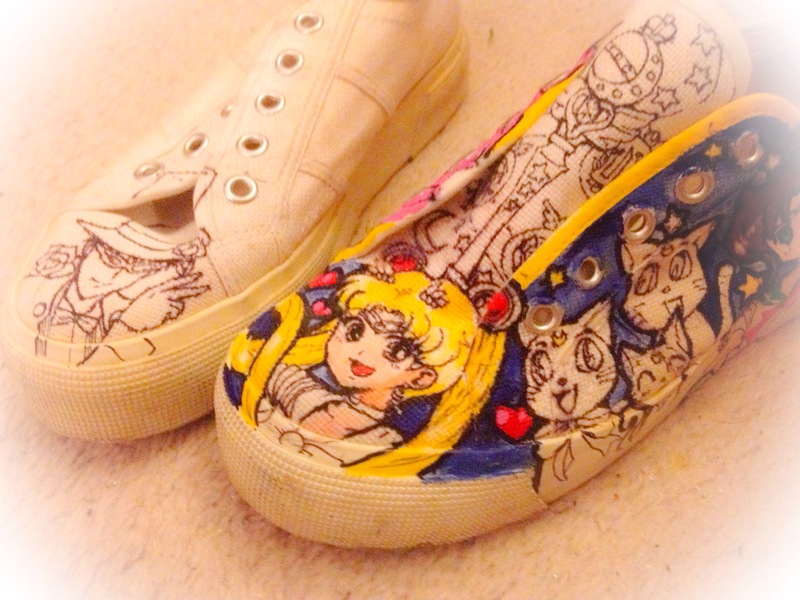 I’ll post an update when they’re all done, don’t know exactly what I’ll do with them as they’re not my size, but I’m sure someone would like them – maybe a giveaway? HAPPY THURSDAY EVERYONE! !